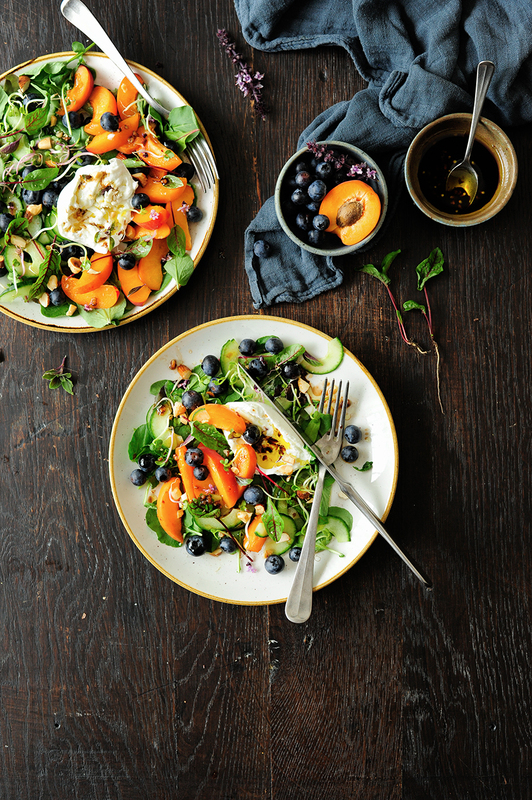 This salad combines creamy burrata cheese and young lettuce leaves with sweet blueberries, juicy apricots, crispy cucumber and a tangy-sweet vinaigrette. Intensely aromatic, spicy and sweet, juicy and crispy. Perfect for lunch or dinner, preferably with a baguette toasted with garlic oil. A perfect inspiration for the rest of this year’s warm days. Tip: Nectarines, peaches or plums could take the place of apricots. 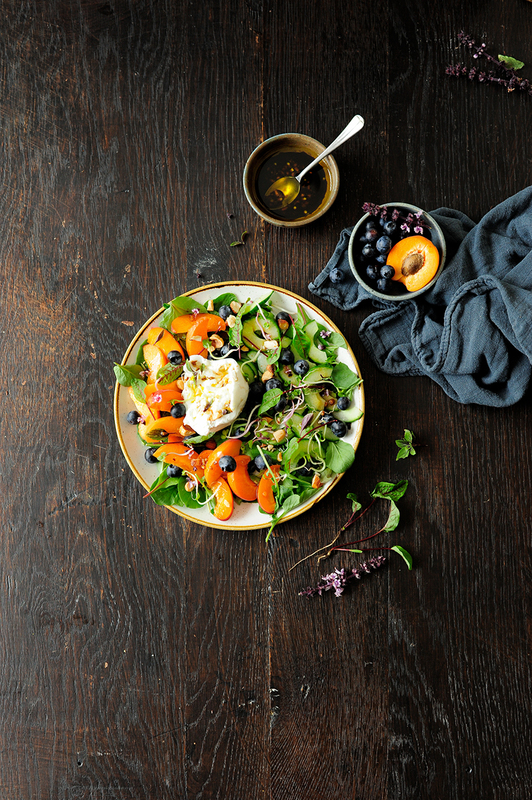 Add arugula for a more peppery taste or sorrel, which has a hint of lemon and makes a surprising addition with an exquisite accent. Combine the ingredients for the vinaigrette. 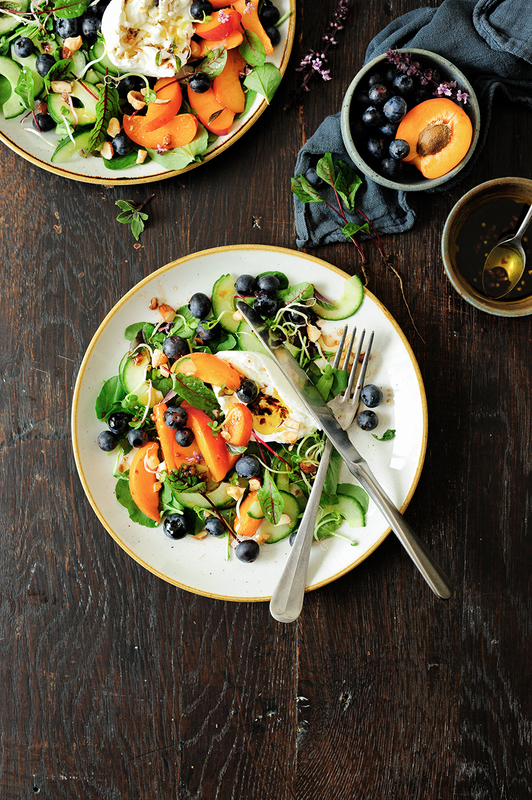 Arrange the salad greens on two plates and top with cucumber, apricots and blueberries. Using your fingers, tear the cheese in two, arrange in the middle of the plates. Sprinkle with micro greens, roasted almonds and basil leaves. Serve with honey vinaigrette. Enjoy!